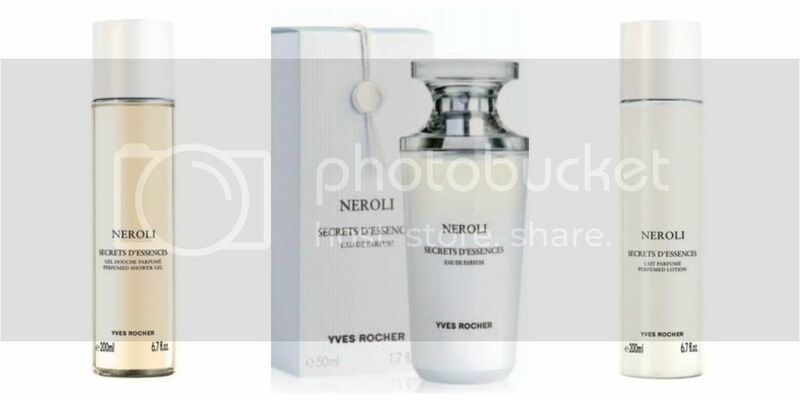 Neroli is ﻿a new collection from Yves Rocher. That is where you can find the bath, body and cosmetic collection products you need to feel and look great. Neroli products are flirty and feminine giving you a great smell all day long. I got to try Neroli Perfumed Shower Gel, Neroli Eau de Parfum and Neroli Body Lotion. Neroli Eau de Parfum is a symbol of subtle and delicate femininity. Its unique musky floral creation provides a sensual and refined sensation of freshness because it is made of exceptional raw materials. It emanates all the extractions of Bitter Orange. The head notes give off the essence of Bitter Orange from the fruit, while the essence of Petitgrain from the leaf gives it a lovely sophisticated freshness. It is accentuated by Bergamot. The heart notes express the luminous, sensual and voluptuous scent of the flower, thanks to the Orange blossom absolute and Neroli. The base notes envelop you in a lingering soft caress of voluptuous Musk. The Neroli Perfumed Body Lotion has the same subtle fragrance smell that the Nerolie Eau de Parfum has. It is very smooth and light, a perfect lotion to wear during the summer. It is enriched with Organic Sesame Oil. Its creamy formula hydrates your skin and leaves it velvety. I like its freshness scent, like of the pine cones. It is not a thick and runny lotion, just right. It absorbed quickly and non greasy. I did not have any allergic reactions to it. The Neroli Shower Gel has musky and floral notes of Neroli. It leaves your skin softly scented. Enjoy a lush lather with the musky, floral notes of Neroli enriched in Organic Cornflower Water. It is paraben free. I was fortunate that I was able to sample the Neroli products and would highly recommend this line of products.